Browse Through Our Extensive Selection of Quality Wood Shutters and Place Your Order with Creative Window Coverings! If you have been searching for high-quality wood shutters at affordable rates, you have come to the right place! We have an extensive selection of wood shutters, featuring contemporary and classic designs that will add personality to any room. Our design professionals will also provide you with free consultation for the best type of wood shutters to get for your home. We carry only the best products, and can guarantee that our wood shutter models have been tested to the highest quality standards. 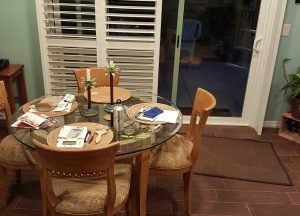 Our goal is to provide homeowners in Southern California with an extensive selection of wood shutters, so they don’t have to go anywhere. We are your one stop shop for wood shutters, and will work with you to design custom wood shutters as well. 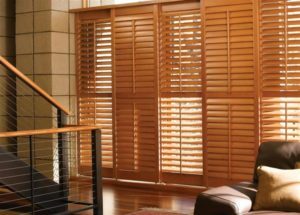 Our commitment to designing and manufacturing quality wood shutters is what sets us apart from the rest. All our wood shutter designs can be customized to match with the interior décor of your home. Don’t like what you see in our wood shutters selection? You don’t have to go anywhere else because we are prepared to create custom wood shutters that meet your approval. Our design consultants will provide you with plenty of custom designs, and will work with you to refine your shutter designs as well. We know how to deliver exceptional quality in our wood shutters, and guarantee superior craftsmanship and complete satisfaction. 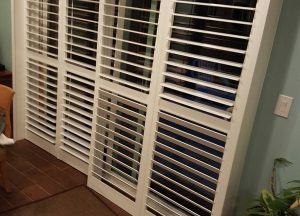 The best part about our wood shutters is that they are extremely cost-effective, and we provide you with brilliant customer support throughout the duration of our service. Get in touch with us today to design your own wood shutters. Looking for Quality Wood Shutters? You just got us! Our professionals would be more than happy to assist you. Our wood shutter models meet high quality standards for our clients satisfaction.